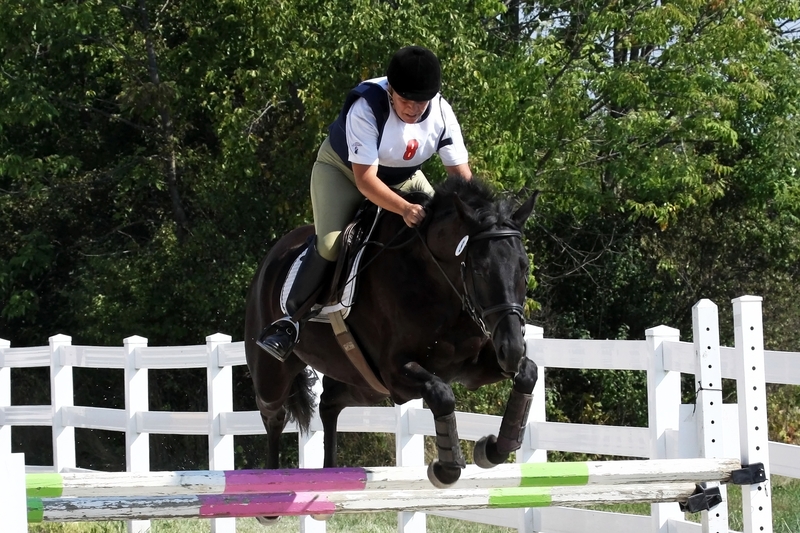 Wie is a 7 year old, 16 hand Hanoverian gelding who will be coming off lease as soon as the school starts up. He is currently being ridden by a 15 year old C 2 Pony Clubber who rode him at the USPC Festival and the instructors loved him and said ‘whoever buys him will be a lucky girl’! He has a solid record at Novice with consistently good dressage scores and is very brave cross country. He’s nearly black and definitely has the ‘cute factor’ going for him.